Tina earned her Veterinary Technician certificate at the College of Veterinary Medicine at Michigan State University. Prior to attending MSU, Tina attended Lansing Community College. She joined The Animal Ophthalmology Center in January 2005. Previous positions include House Calls Veterinary Hospital in Eagle, Michigan and Tompkins Veterinary Services in Rives Junction. Tina is a member of the Academy of Veterinary Ophthalmology Technicians..
Tina is married and has 2 children. Her hobbies include exercise, horseback riding, and spending time with her family. She owns 2 dogs, and 15 chickens. 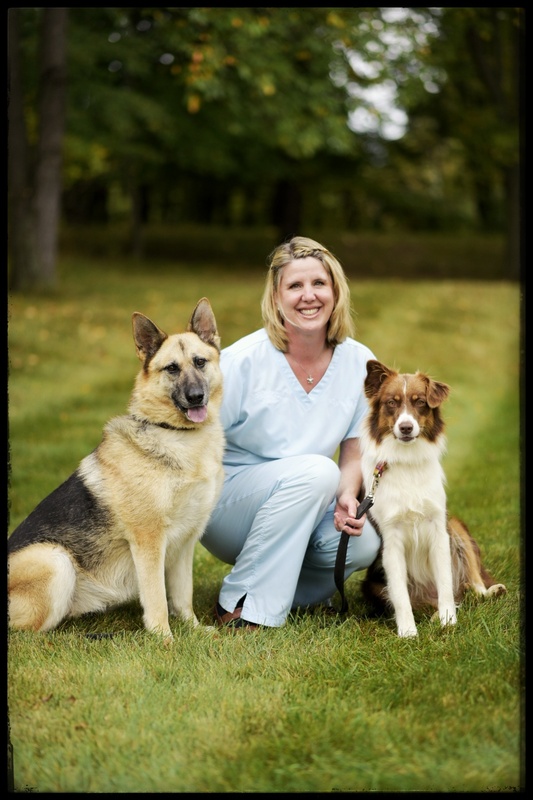 Sara is an LVT, with a Bachelor of Science degree in Veterinary Technology from Michigan State University. Sara joined TAOC in May of 2008 as a Veterinary Assistant/Receptionist. Sara is a member of the Academy of Veterinary Ophthalmology Technicians. Sara is married and has 2 children. Her hobbies include travel, reading, spending time with family and friends. Sara has two cats and a dog.